We don our finest check shirts, pull on the pull ups and stick on some Prince Buster as we channel our inner rude boys and create the Doc Marten Resin Boot Award'. Doc Martens, one of the most iconic fashion companies in the world, has for decades been at the forefront of counter culture and punk. 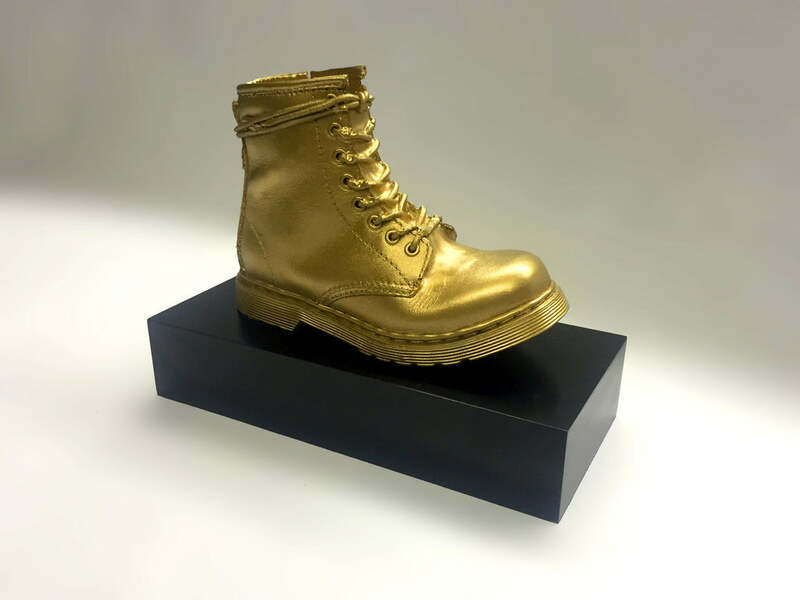 In our latest resin award, Doc Martens boots are given the Creative Awards treatment to eye-catching effect. Using an original boot, we created a highly detailed cast resin model that catches all the glorious creases, scuffs and marks that only a pair of original Doc Martens boots can have. 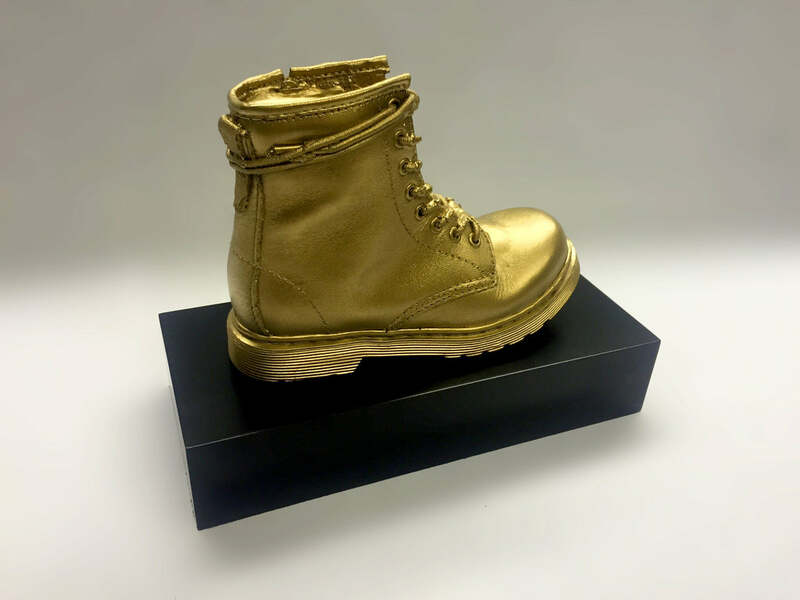 Finished in bright gold, a nod towards the glamour of the ceremony, the boot-iful award rests on a custom cut wooden base.